Accompanying the new name is a new way to identify the JasperNet SignOn page as a secure site to provide your password. The new site will take advantage of "Extended Validation" (EV) SSL certificate technology. 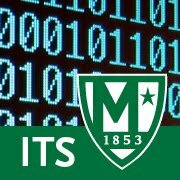 By using an EV certificate, secure.manhattan.edu will turn the URL bar of your browser green and display the name "Manhattan College". What does EV Look like? Going forward, ITS will be working to move ALL JasperNet services to the new #GreenMeansGo login page on secure.manhattan.edu. ALL sites that ask for your JasperNet password will eventually be moved to the new login page.